All Grain Policies are subject to change without notice at any time. The following will be averaged on a settlement sheet basis: TW, Moisture, and Damage. Damage—All loads 10.0 and below will be averaged together. Loads 10.1 and above will be averaged together. Odor or Infested loads will not be averaged with other loads. FM loads will not be averaged together. Corn testing positive for Aflatoxin is Subject to Rejection. 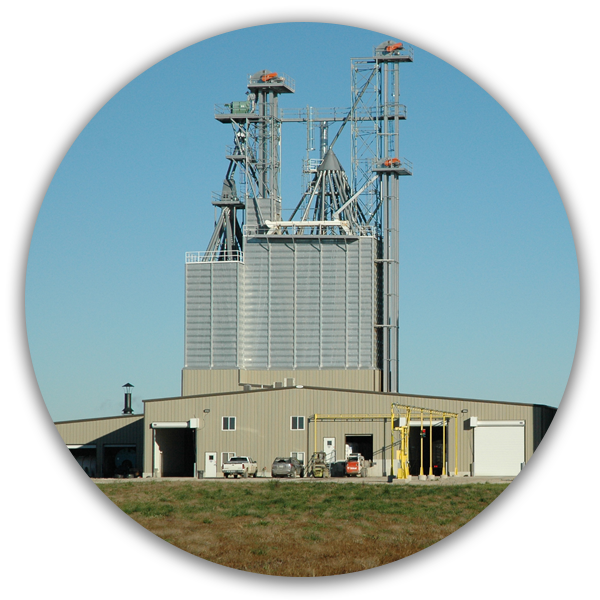 Treated Grain or smoke odor grains are Subject to Immediate Rejection. The first 60 days are $0.00133 per bu. per day, then $0.001 per bu. per day for the next 305 days and then $0.001667 per bu. per day thereafter. If grain is sold out of Grain Bank, storage rates revert to warehouse storage tariff.. Hauled out charges will include a $0.10 receiving charge, a $0.10 loadout charge and warehouse storage tariff fees. Only delivered corn is eligible for Grain Bank. Corn must be processed at Halfa to qualify for Grain Bank rates. Averaging will exist within each settlement sheet, two or more settlement sheets cannot be averaged together. Settlement sheets at two different locations can not be averaged together. Discounts will be calculated to the nearest 1 tenth of a percent. Corn containing moisture content above 15.5% will not be dumped at Halfa. Corn Shrink Factor will be 1.45% per point of moisture removed. Grain Bank, Price Later, and contracted corn will be shrunk and dried to 15%. It is helpful to SLC accounting personnel if tenants keep their landlords advised on the status of their joint grain deliveries. Please advise the scale operator upon completion of a delivery. Customers will have 15 days from the first day of unload of delivery to specify the positioning of grain (sell, storage, grain bank, price later). If disposition has not been specified after the 15th day priced contracts will be filled first, and the balance of grain will automatically be placed in storage. Priced contracts will have checks issued unless customer has specified that a deferred payment is to be issued. Last day for Deferred Payment changes will be Friday December 14, 2018. GM POLICY: All non-approved export corn hybrids must be channeled and segregated for shipment to buyers willing to accept genetically modified grain. StateLine Cooperative will accept genetically modified corn with notification of delivery from producers. This policy is subject to change without notice if our buyers are unwilling to accept genetically modified corn traits. Seller has an unconditional obligation to deliver all of the contracted grain by the end of the Delivery Period. Any request by the seller for a cancellation of the contract and the terms of any such cancellation will be considered by StateLine Cooperative on a "case by case" basis and there is no assurance that cancellation will be permitted by StateLine Cooperative. In no event will a cancellation request be accepted by StateLine Cooperative if StateLine Cooperative determines, in its sole discretion, that such cancellation would have the effect of causing the contract to not be a cash forward contract. $0.01 per each lb. below 54 lbs. $0.02 per point from 2.1% to 5.0%. Loads 13.5% and less will be averaged together. Loads 13.6% and higher will be averaged together. 13.1% - 14.5% will be discounted @ 3% of cash price per point of moisture. 14.6% and above will be discounted @ 4% of cash price per point of moisture. Discounts will be calculated to the nearest 1 tenth of a percent. Any loads with moisture over 15.0% are subject to rejection and if accepted will be priced at delivery. Loads 13.5% and less will be averaged together. Loads 13.6% and higher will be averaged together. 13.1% - 14.5% will be shrunk @ 3% per point of moisture. 14.6% and above will be shrunk @ 4% per point of moisture. Discounts will be calculated to the nearest 1 tenth of a percent. Soybean Test Weight and Moistures will be averaged within settlement sheets. All other soybean grade factors will be discounted on a load by load calculation. Treated Grain or smoke odor grain are Subject to Immediate Rejection. Tariff charges of $0.10 IN and $0.10 OUT will be applied to any grain loaded out. 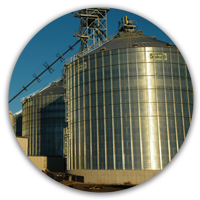 All SLC grain locations strive to provide the best in receiving service and storage space. For information regarding hours or any aspect of SLC grain services please call the location nearest you.